All accidents can be considered emotionally draining; however, an accident involving a passenger car and a large truck can be devastating. Automobiles hardly stand a chance against an 18-wheel, tractor trailer rig carrying a heavy load and traveling at highway speeds. Add to that mix a tired truck driver who is quite possibly suffering from road rage, talking on a cell phone, and eating at the same time and you have a recipe for disaster. Should the unthinkable happen to you and your family and your involved in a crash with a commercial vehicle, don’t hesitate, hire an experienced, knowledgeable attorney to serve as your advocate. If a serious injury or death occurred, you need to protect your rights against the insurance and trucking companies. 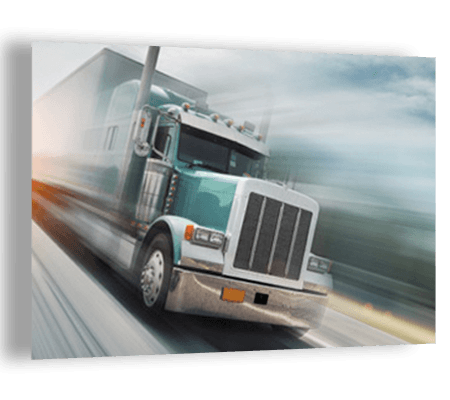 The trucking industry is highly regulated by the U.S. Department of Transportation – Federal Motor Carrier Safety Administration. Factors such as: Driver negligence and fatigue, poor maintenance, faulty equipment, unsecured loads, aggressive driving, and driving while intoxicated (DWI) or under the influence of a drug (DUI) can all contribute to the cause of an accident. Legal representation will ensure that your rights are protected and help you recover your personal property damages and healthcare needs. The Arkansas State Highway and Transportation Department is responsible for providing and maintaining safe, effective and environmentally sound transportation system for the state. As part of this mission, rules and regulations are set forth and permits are often required for commercial vehicles operating within the state. All types of commercial vehicles are covered including, but not limited to: Light duty – mini trucks, pickup trucks, panel trucks, vans, tow trucks; medium trucks – standard trucks, platform trucks, flatbed trucks, fire trucks; heavy trucks and haulers – tractors, dump trucks, garbage trucks, log carriers, 18-wheelers, semi-trucks, refrigerator trucks, tractor-trailers, car haulers, tankers or tank trucks, cranes, construction vehicles, and military trucks. The Arkansas Highway Police are responsible for enforcing laws and regulations. The officers are regularly involved in drug interdiction, motor carrier safety and hazardous materials enforcement, and training. The Arkansas Trucking Portal is an aggregate site designed to help you find information and services in one place to help make doing business in Arkansas easier for industries involved with transportation.